We are just beginning our journey to financial independence, but I can’t help but reflect on the years leading up to us getting serious about financial independence. The small lifestyle decisions that we have made over the past 9-10 years have allowed us to start with a goal that is within reach. Jess and I have been married for almost 10 years now, but it wasn’t until this past summer that we said “I do” to pursuing financial independence. Before that, our commitment to managing our personal finances was surprisingly strong when you consider that we didn’t have a central goal or underlying philosophy to money. The best way to describe our success with money during the first nine years of our marriage is that it came and went in waves. We’d have a goal that would motivate us for a little bit, and we’d become hyper-focused on meeting that financial goal. Once the goal was met, the motivation would wane and we’d move on with our lives, often getting distracted. While there was no underlying goal or plan for financial independence, as I look back on this time in our life, I’m proud of what we accomplished. Without fully grasping what we were doing, Jess and I made decisions and formed habits that have fast-tracked our pursuit of financial independence. Again, the goal isn’t to get to a defined wealth accumulation milestone (i.e. 25 times our annual expenses) as quickly as possible (even though that doesn’t conflict with our goals). 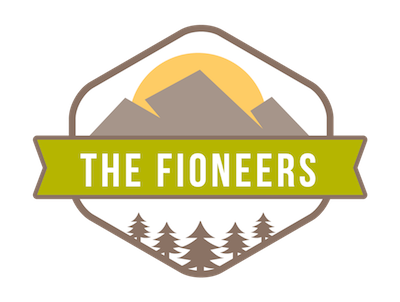 We are embarking on a journey as Fioneers to define a new lifestyle for ourselves, and it’s worth noting what has helped us get to where we are going. Because of the reasons highlighted below, Jess and I are starting our journey to financial independence with a head start. These decisions explain why our timeline to FI is a maximum of 11 years before any of the recent lifestyle changes. This may sound cliché, but living below your means (or spending less than you earn) is not a given for everyone. It’s not easy for some people to achieve, especially if you come from a family where you learned lavish spending habits or are a low-income household living in a high cost of living area like we were when we were just getting started in 2009. 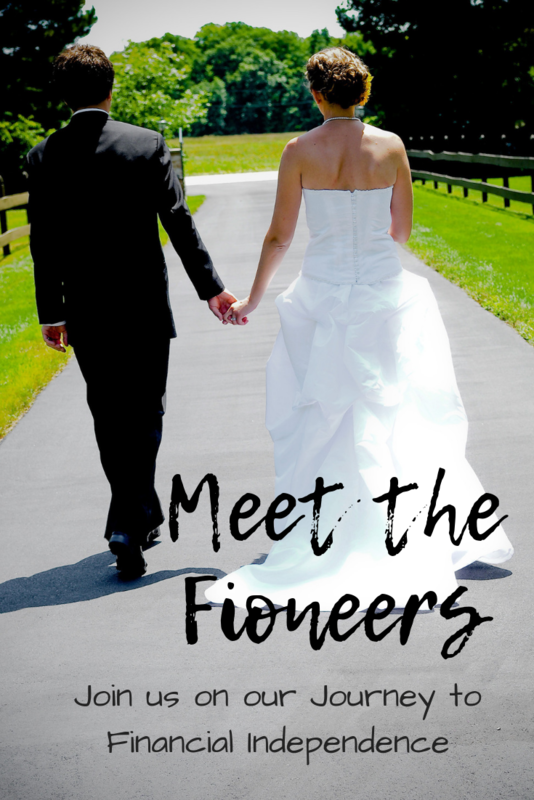 After getting married and moving back from Nicaragua and being thrust into adulthood, Jess and I moved to New Jersey so that I could go to graduate school. Living on the outskirts of New York City, in a high cost of living (HCOL) area, during one of the worst recessions in recent history was no small feat. Thankfully, I still have a copy of the monthly budget from that time in our life. Here’s a snapshot of what we were budgeting each month to break even. Here are a few observations in revisiting this budget from nearly 10 years ago. 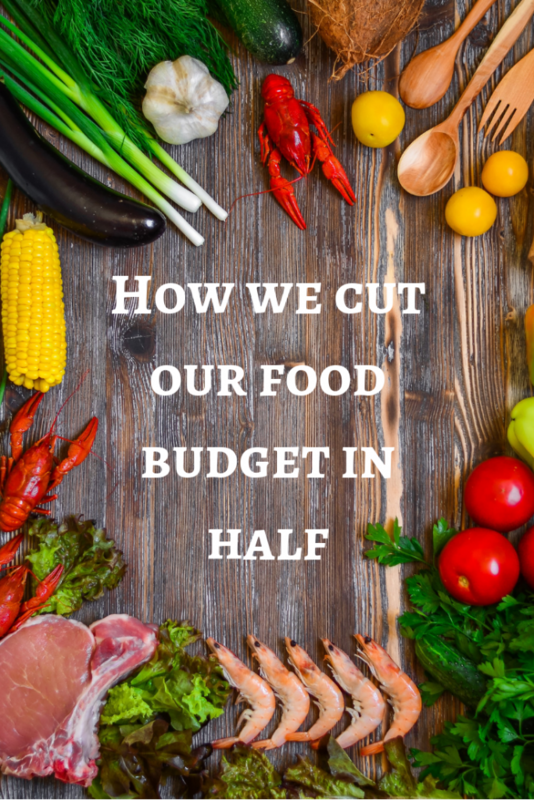 When you look at the big three categories (housing, travel, and food), they totaled 74% of our budgeted expenses. This budget was as bare bones as you can get while living on your own in a HCOL area while paying for all of your necessary expenses. As you can see in the chart above, we only had about $250 of discretionary spending (miscellaneous) built into our budget. What’s also missing from this monthly budget is the cost of my graduate school. We paid for my grad school in cash, so that meant that we had large payments for two months out of the year. I was too inexperienced with budgeting to estimate the annual costs and build this into our monthly budget. We both had just graduated and finding a job right out of college was a challenge. 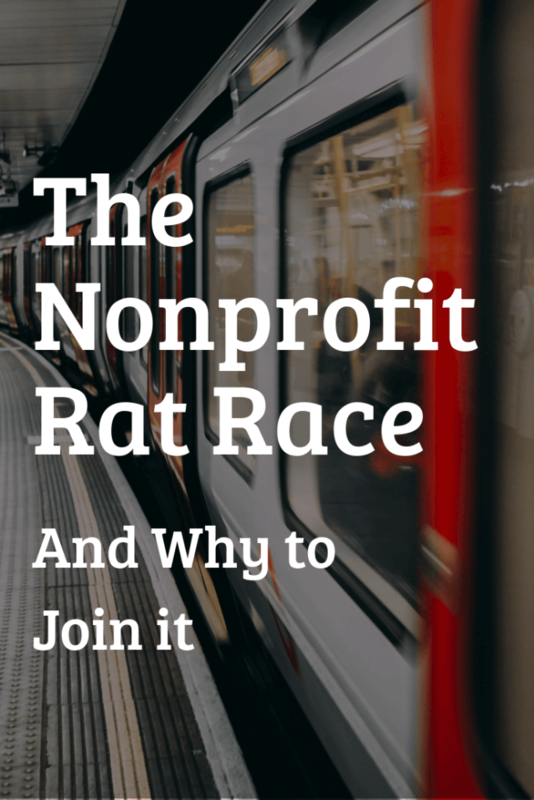 Finding a job that could pay for our expenses (and then some) was even more challenging. We both ended up working entry-level jobs (for me, this started at 30 hours/week and Jess full-time) to make ends meet. As I look back on this time, this commitment to break even (if not save a little bit of money) taught us a fundamental lesson that would set us up for success for the rest of our lives. It wasn’t easy, but we did whatever it took to both limit our expenses and earn enough money to live below our means. Another essential part of fast-tracking our journey to financial independence was the fact that Jess and I paid for undergraduate and graduate school as we went. While Jess was fortunate to have help from her parents in undergrad, I was not so fortunate. I worked my way through school. With the exception of the first semester in college, I had at least one job every semester and worked for most of the breaks and summers. There was one year that I was working in the dorm and held two other part-time jobs at the same time. Working was one of the ways that we paid for school. We both also received some scholarship money to make it more affordable. Even choosing where to go to school also played a significant factor for Jess. Her parents’ financial support was capped at a certain amount each year which ended up influencing WHERE she would go to college. She decided to go to the school that she would graduate without loans. I am grateful for this decision because I would not have met her otherwise. 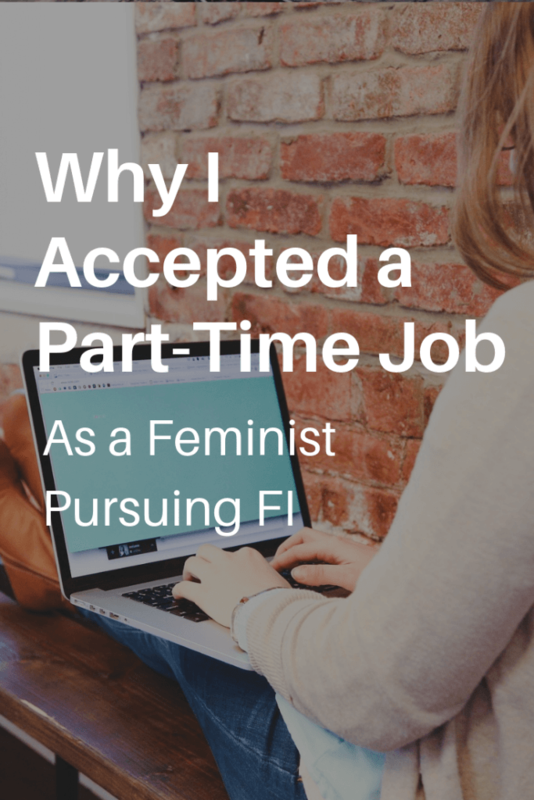 For graduate school, I sought out a job at the university knowing that there would be free tuition provided to full-time employees and Jess went to a state school with in-state tuition. There are many other cost-saving measures for our education that we will detail in a future post, but the point is that we did whatever it took to escape debt free. I’m thankful that we did this and that this lifestyle stuck with us as we continued with life after school. We not only finished both undergraduate and graduate schooling with no student loans, but an emboldened confidence. Having no student loans has given us a tremendous head start financially. Not only did it make living below our means much more accessible (since we didn’t have to pay $X per month towards loans), but it also meant that we could start saving (more) much sooner. This was another contributor to our high savings rate. For nine of the ten years that we have been married, we have been a single-car family. 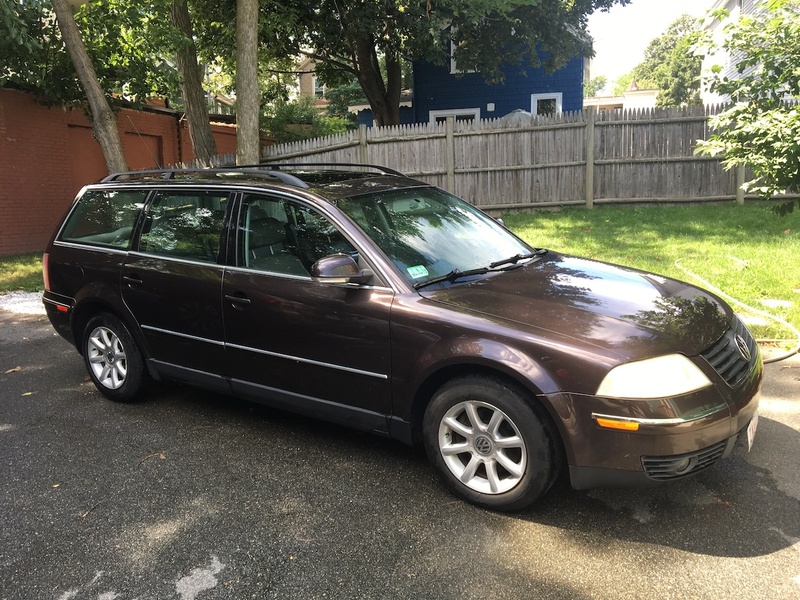 Not only that, but we had the 2004 VW Passat pictured below for eight of those nine years, until we recently upgraded our car to a newer vehicle. It was that one year where we were forced to have to have two cars that convinced us to stick to owning one car. In 2012, I accepted a new job at the time (working for the same organization that I still work for), and we needed two cars (since Jess was driving our other car to her job in the opposite direction of our apartment). We knew it was only going to be short-term until we moved to Boston, so we bought a used VW Jetta off of craigslist for $3,000. We only needed a stop gap for one year. While most people enjoy having the freedom to drive anywhere at any time that comes with owning two cars, this was not the case for me. I slowly came to dread owning two cars because it meant twice the maintenance. Two times the predictable maintenance like oil changes, tire rotations, and replacements, brakes, etc. But also two times the unpredictable maintenance too. It was not only (nearly) twice as expensive, but also twice as much headache. Owning two cars was short-lived and that year of maintaining two cars has stuck with me. That experience made me averse to owning two cars. After the year, we sold the Jetta and we ended up going back to be a single-car household once we moved to Boston. It was a huge relief and we haven’t looked back, except for a brief moment last year when we upgraded to a newer 2015 Subaru Outback. When we were deciding whether to keep the Passat last year as a second car, I estimated the numbers for what it would cost us to keep the 2nd car vs selling the car. Between insurance, depreciation (which would be minimal at its current age), anticipated maintenance, and the value of the car if we sold it, we were looking at a swing of $4,000 for the first year. This reminded me that while the monthly cost may not seem like that much more money to own, drive and maintain two cars, it does make a huge difference when you switch to owning one car and committing to a lifestyle that only requires one car. AAA recently estimated the average annual cost of owning and driving a new car at $8,848. While I have never seriously considered buying a new car because of the loss in value to depreciation, it does give you a sense of how much money you could save by reducing the number of cars you own. While we did not have a goal of financial independence, we always have been savers in some shape or form. I recently stumbled on an old spreadsheet that helps illustrate our commitment to savings. In 2010 Jess was working as an Americorps Vista member earning just over $11,000 per year. A year later, the organization that she had been working for as part of the Americorps program offered her a full-time job with a reasonable wage. After taxes, we estimated her increase in salary to be almost $2,000 per month ($1,962 to be precise). Of the $1,722 of additional “spending” that we earmarked of this new income, over half of it ($950) was towards savings and retirement, and that is not even counting the $240 remaining. We thought we were splurging back then by eating out 2-3x a month. Before this raise, we didn’t eat out. Note – I didn’t say we didn’t eat out often, but that we didn’t eat out period. With this increase, were able to splurge with $100 per month. That goes to show you that before we even knew or bought into the phrase “Pay You First,” we were already living by that motto. While the journey to financial independence is not all about saving as much money as possible, a high savings rate and a commitment to saving money certainly help to fast-track the journey. As I shared in our Financial Independence Plan, Jess and I have about 4-5x our expenses invested in tax-advantaged investment accounts (aka retirement accounts). We still have a long ways to go, but we have made a lot of progress on the accumulation of wealth goal by actively contributing to our retirement accounts. The example above on savings helps support this as much of our savings was being put in our retirement accounts. We fast-tracked our journey to FI by contributing to our retirement accounts as soon as humanly possible. Even before our employers offered retirement accounts, we were actively contributing to Roth IRAs. By contributing to our retirement accounts in our 20s, we’re allowing the power of compound interest to do its thing. While much of the progress towards the wealth accumulation aspect of our financial independence plan will come from our contributions (because of the amount we are saving each year and the short period), the appreciation of the assets we’ve already invested will also support us. In a good year, where the stock markets climb by more than 10%, we have the potential to earn more money from appreciation than what we actively contribute. That’s pretty amazing! Another big part of our Financial Independence journey was when we decided to buy our first home. 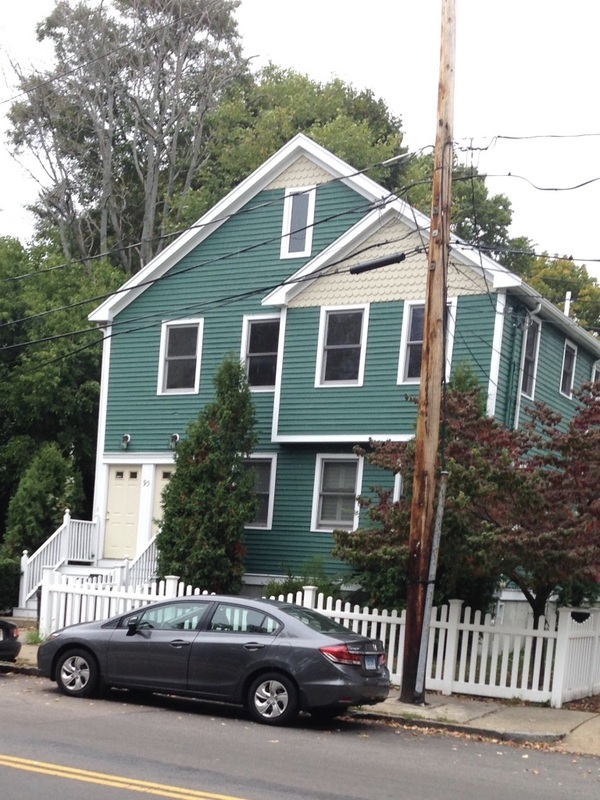 Buying your first home before you are thirty in the Boston area is almost unheard of, but we did it – thanks in large part to our aggressive savings mentioned above. Both Jess and I had grown up in lower cost of living areas, so buying any sort of property in the $400,000s was unheard of. It was hard to do at the time, but we are glad we did it. There are three reasons this purchase has helped speed up the journey to FI. Our home has appreciated significantly. Our condo has increased in value by approximately $100,000 in the past 4 years since owning it. Our home is the perfect size for our needs. We bought a 2 bedroom, 1 bath, 1050 square foot condo four years ago. It’s been everything we have needed. Sure, there are a few times that we wish we had a second bathroom or more space, but 99% of the time, it fits all of our needs. Our mortgage is lower than rent. The year before we moved in, we lived in a one bedroom apartment less than one mile away from our current home. The mortgage for our 2 bedroom condo (including our HOA) is slightly less expensive than the rent we paid for this much smaller apartment. A way to short-cut any journey to financial independence is to buy just enough house that you can stay in that home for a long time. This not only lowers your monthly expenses, but it also limits the money you pay in real estate transactions. Another often-overlooked aspect of the journey to financial independence is the proximity of your primary residence to your place of employment. Jess and I have always tried to keep our commutes to a minimum. There was a period where I had a 45-60 minute commute in New Jersey (the same year that we had two cars), but otherwise, it’s typically been under 30 minutes each way. I currently have an average of 18-minute door-to-door commute on Boston’s public transportation. Note: Jess’ commute is currently about 45 minutes each way and we’ve learned that this isn’t sustainable. She’s actively looking for a new job to cut down on the commute. As we mentioned, we bought a condo four years ago in the city of Boston. Not a nearby city or suburb of Boston, but in the city of Boston. Not only did we prioritize being central to our employers (and any potential employers in the event of a change), but also every other activity. This speeds up our journey to financial independence in several ways. This lowers our transportation costs. It supports our single-car family lifestyle, but it also minimizes the amount of travel we do with our car. It gives us back our time & sanity. Not only can a far commute be time-consuming, but it can also be emotionally draining. By keeping our commutes to a minimum, it allows us more time to do with whatever we like. This can’t be emphasized enough. There’s a big difference between getting home after 6 pm drained from sitting in traffic and walking in the door around 5:30 pm. 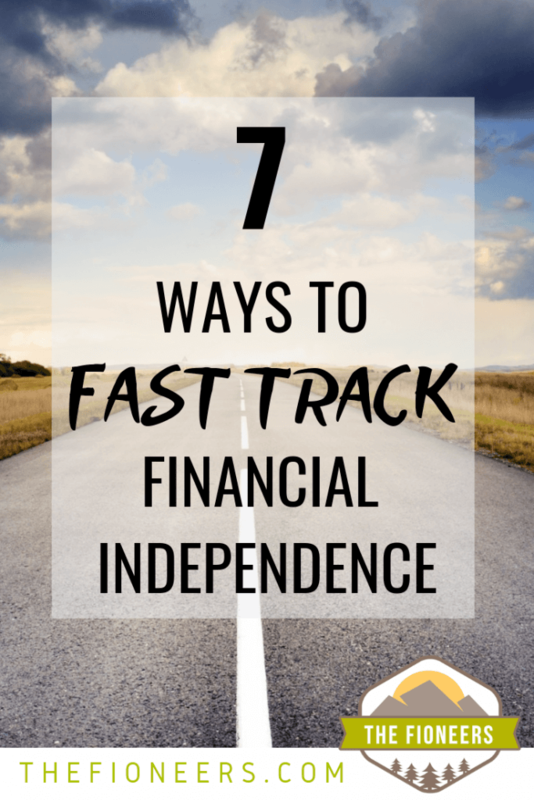 Last, but certainly not least, we have fast-tracked our journey to financial independence with the advancement of our careers and subsequent increases in W2 income. As we’ve mentioned before, the path to FI is built from two core ideas: lowering your expenses and increasing your income. The other lifestyle changes have focused on the former, but this last item speaks to the importance of increasing our income. When we first started, as I mentioned earlier in this post, a $24,000/year increase in income was life-changing. That increase was the first of many. Over the past 5 years, we’ve rapidly increased our income by providing value to growing organizations, resulting in several pay increases and promotions. 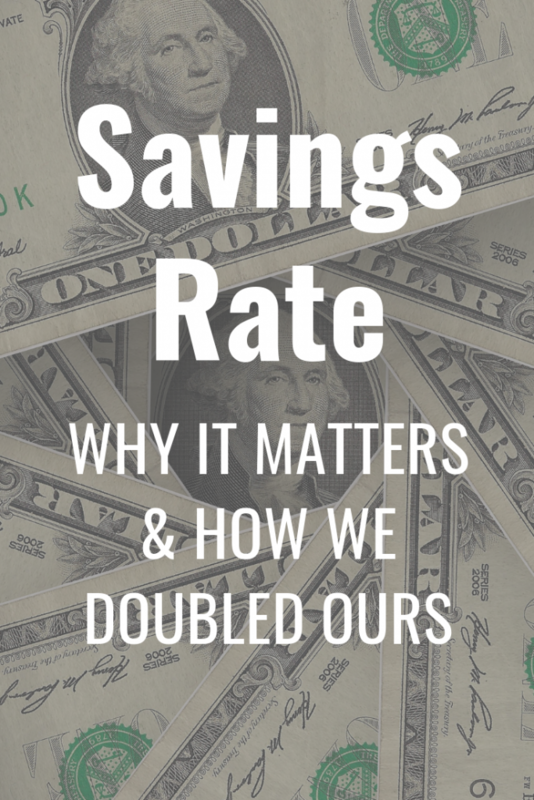 As a result, we’ve been able to save not only a higher percentage each year but a larger dollar amount year after year. Now we’re at a point that even if we continue without any more pay increases, we’ll hit FI in 11 years. If you are interested in doing the same, focus on solving problems for your employer and increasing your responsibility, and I guarantee you that the pay increases will follow. While the above items are ways that we have fast-tracked our path to FI, we are not done yet. Here’s a recap of the areas that we will optimize going forward, and many more things which we have not yet identified. While these are many of the lifestyle decisions that we’ve made to set us up for success, every story is different. I hope by sharing what has worked for us may inspire you to do the same. Identify what’s important to you and design/optimize your life around these items. 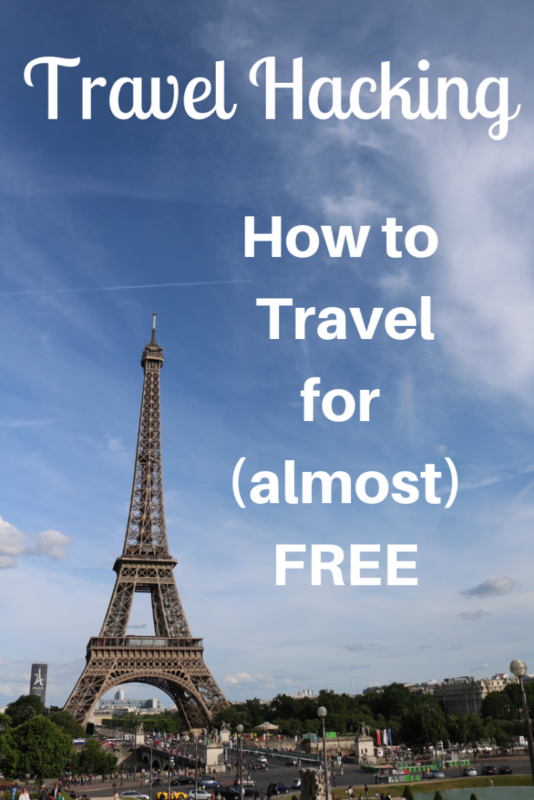 If you love to travel, learn more about travel hacking so that you can lower your expenses. If you love to try new food and don’t mind cooking, learn how to cook fancy meals instead of eating out. Focus on the big wins, or the big three categories when it comes to lowering your expenses. This includes housing, transportation, and food. Optimize these categories of your budget first as you will get the biggest bang for your buck. This includes deciding where to live, whether you can get by with one (or possibly without a single) car, and various other life optimizations. Work Hard to Achieve Your Goals – When we were starting out, we focused a lot of time and energy to make ends meet. We didn’t have a lot of work experience, but we had a lot of time, energy and determination. Fioneers community, what else have you done to fast track your journey to FI? Oh my gosh, cutting down on commutes is such a huge thing. I went from working part-time at several different offices for a company (the closest one was 35 min away, and the furthest an hour) to working full time at an office an hour to an hour and a half away. After about a month of that boarish experience, the hubby and I started aggressively looking for a closer place to live. Now (once we move, we’re signing the lease papers today), we’re going to be walking distance from his job, and 20-30min away from mine, based on traffic. I’ve ran the numbers, and even though the rent is a $45/mo increase, it’s going to be so, so much cheaper! Thank you for sharing. Congrats on the new place! It absolutely sounds like you are making the right decision, especially doing the calculations and realizing that it’ll actually be cheaper! I’m sure this will give you so much more peace of mind. We definitely pay more for housing (although probably not that much more when you count transportation) to live right in the city, but it is completely worth it to us. We have some friends that live further out from the city and have 1+ hour long commutes (and we rarely see them because they live so far away). We could never live like that and feel like we have any semblance of a life we would want. Great post and good advice for others on their journey to FI! I like the wedding analogy of saying “I do” to financial independence. It should be viewed as a commitment to pursue over a long time because it definitely doesn’t happen over night.